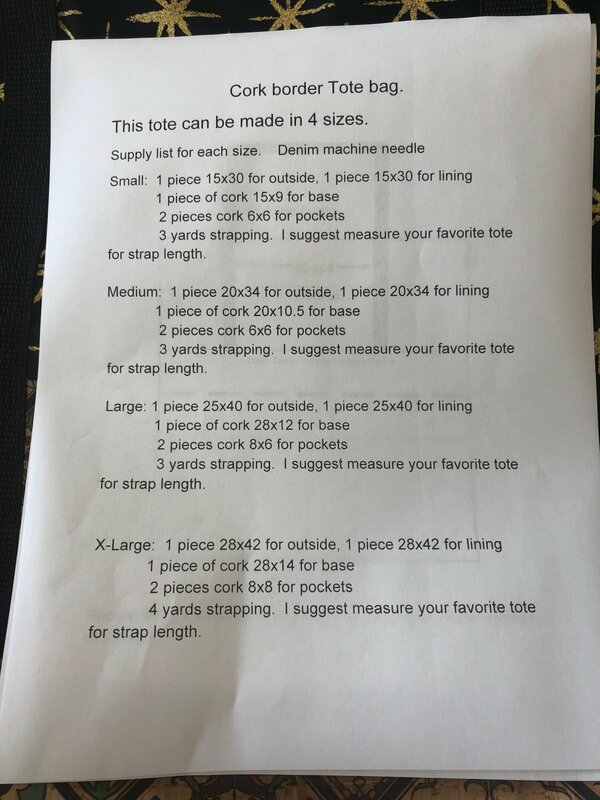 Join us to make an advanced tote bag. This bag includes a cork bottom, fabric top and 2 outside pockets. The bag in the photo (and at the shop) is the medium sized bag. The fabric requirements are below.